We are enjoying lots of squash, apples and other fall produce! 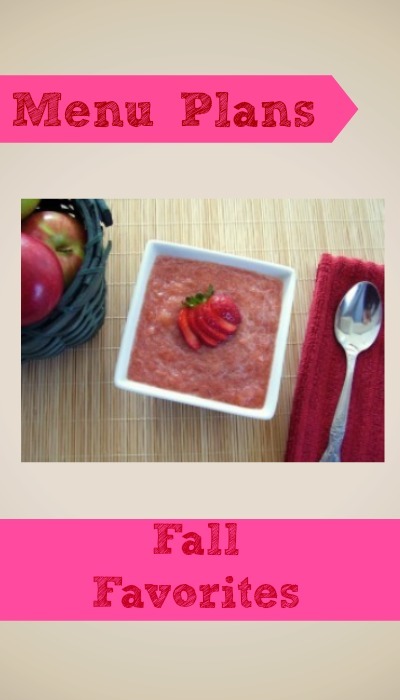 If you’ve ever picked apples, you’ll need some recipes – so the Strawberry Applesauce in last week’s link up stood out to me. Sweeten it with strawberries and you’ve really got my attention! Check out all the past menu plans here.